We're proud to announce our next product, String. String is a virtual instrument that emulates the beautiful sound of the polyphonic string synthesizer. Its authentic tone comes from its accurate emulation of the divide-down oscillator technology and bucket-brigade chorus units behind the lush ensemble synths of the 70s. All being well, String should be available early next week for purchase at £50 (+ VAT if applicable). 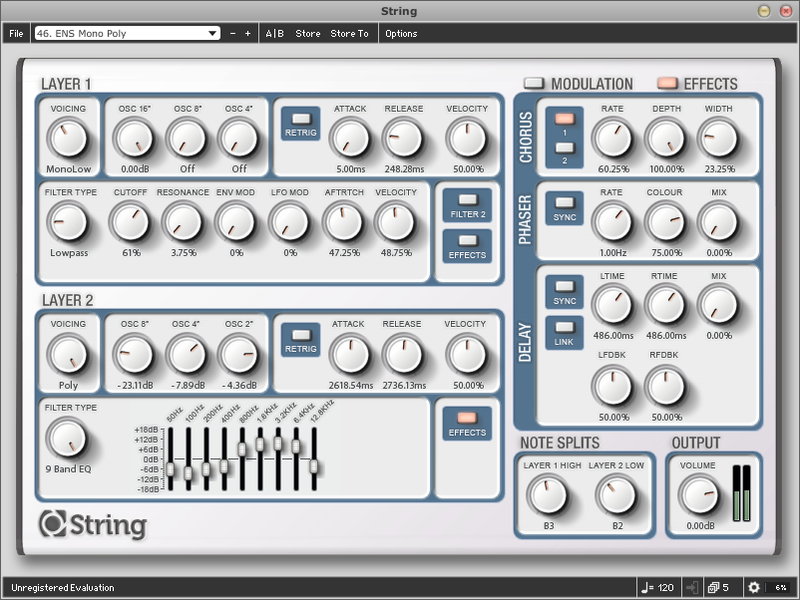 String comes in VST, Audio Unit, RTAS and Standalone formats for Windows, Mac OS X, and Linux.